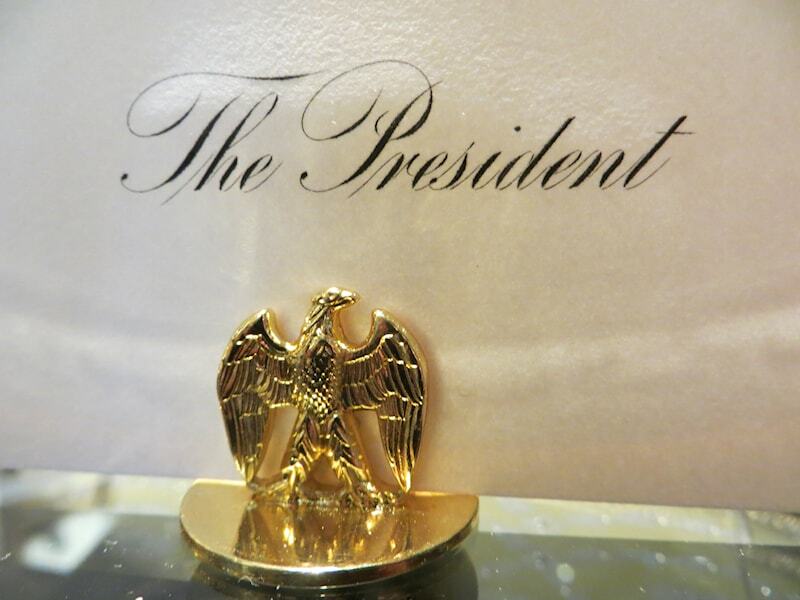 Gold Eagle Place Card Holder. Are you having a special dinner party? Add a WOW factor with this gold brass, custom made place card holder featuring the American Eagle. 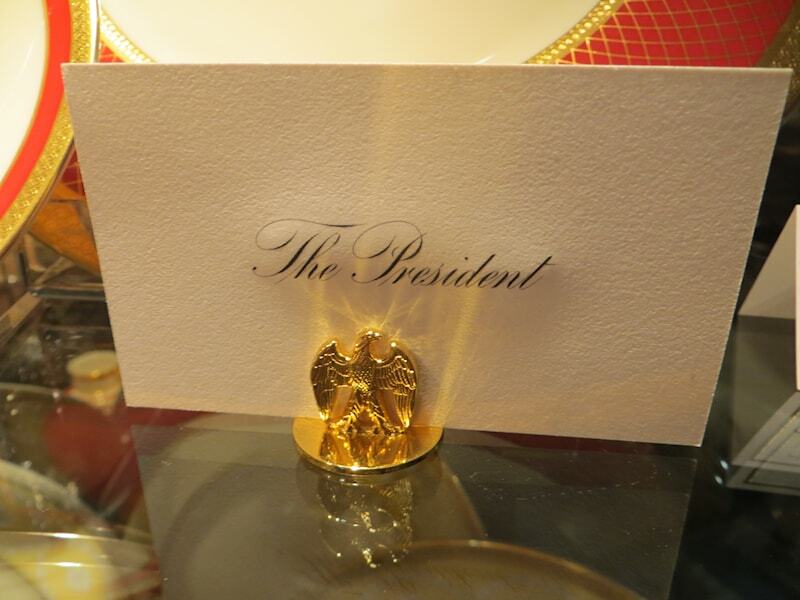 Similar to the place card used for state dinners in the White House. Round base adds stability to the accent piece. 1" x 1". Your guest will be impressed and you will be acclaimed as the hostess with the mostess. 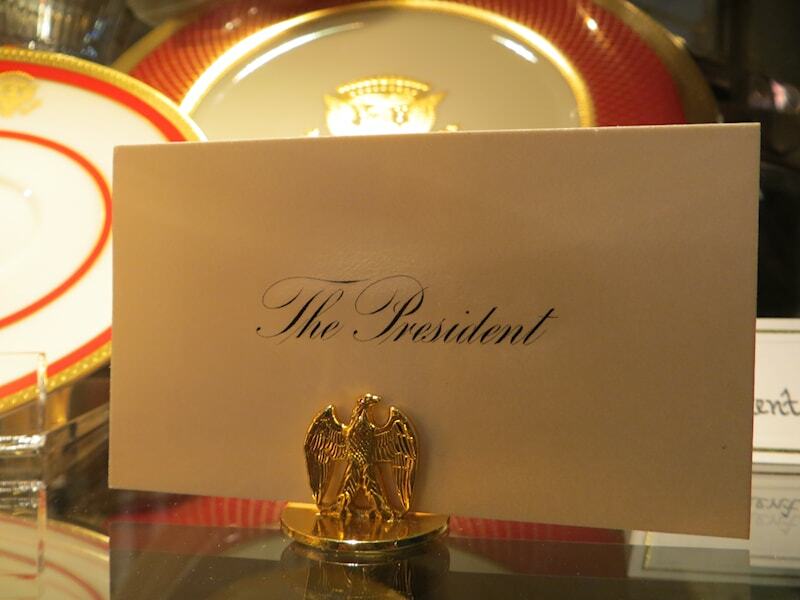 Name Card not included.